In our last post, you saw how you can apply a tax on delivery charges. Now in this post, we will be discussing on how you can Disable Delivery Date and Time Slot on Checkout Page for Virtual Product and Featured Products. WooCommerce allows you to set your products as Virtual and Featured Products. 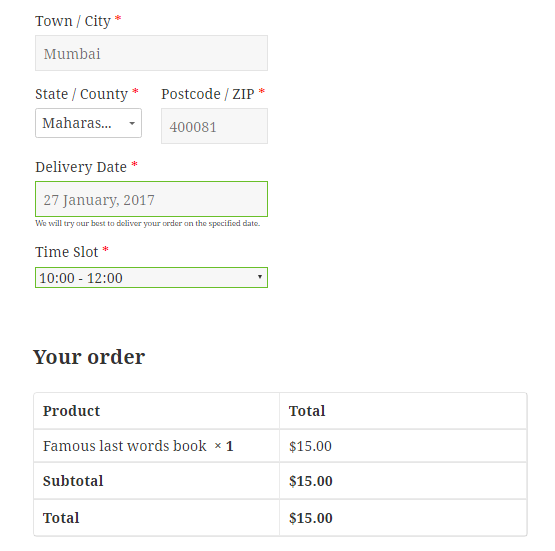 From our Order Delivery Date Pro for WooCommerce plugin, you can disable the Delivery Date and Time Slot Fields for such products. You can setup this in the admin dashboard, under Order Delivery Date -> General Settings -> Additional Settings. If you are selling a virtual product like EBooks and you want to hide delivery date and time slot field on the checkout page so you have to check Disable the Delivery Date and Time Slot Fields for checkbox. 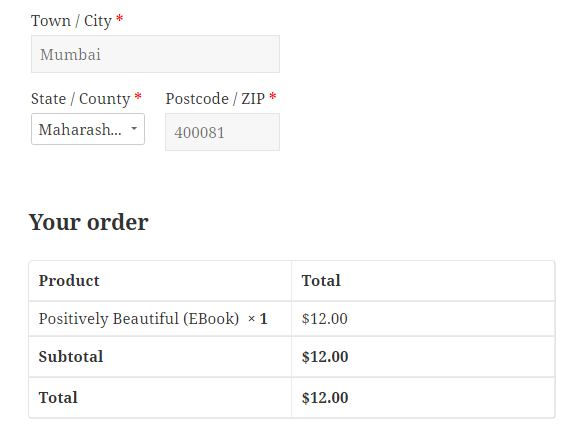 Once the above checkbox is checked then if the customer visits your website to purchase an Ebook so they will find the delivery date and time slot fields are not shown on the checkout page. 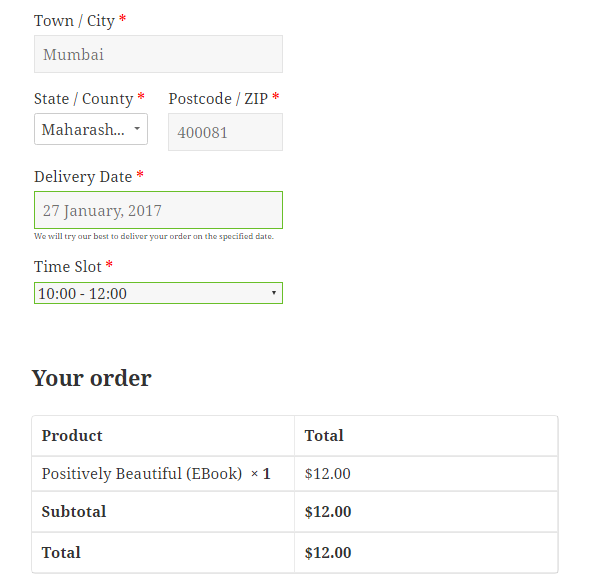 But if above checkbox is unchecked then the customer will find the delivery date and time slot field is shown on the checkout page. Featured products are a great way to promote specific items on your website and are easy to setup in WooCommerce. Once you setup some featured products, you can either display them throughout your website with a shortcode or with a widget. Similarly as above, if you are selling Ebooks where have set Famous last words book as featured book. In this featured book you want to hide Delivery Date and Time Slot then you have to check Disable the Delivery Date and Time Slot Fields for checkbox. 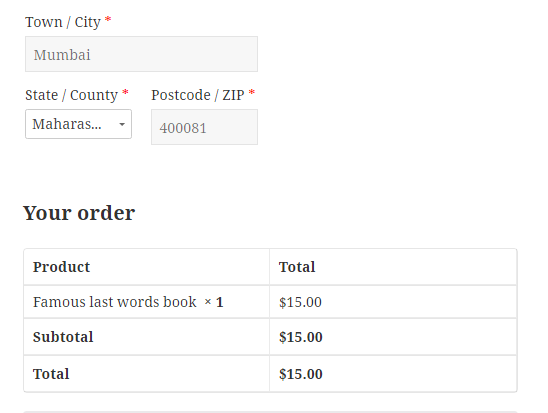 Once the above checkbox is checked then if the customer visits your website and purchase a Famous last words book which is featured product then they will find the delivery date and time slot fields are not shown on the checkout page. In this post, you saw how you can hide Delivery Date and Time Slot for Virtual & Featured Products. By default, both the checkbox are unchecked when the plugin is installed. The setup will take less than 5 minutes.